Hardwood floors have been and always will be an incredibly popular flooring choice. 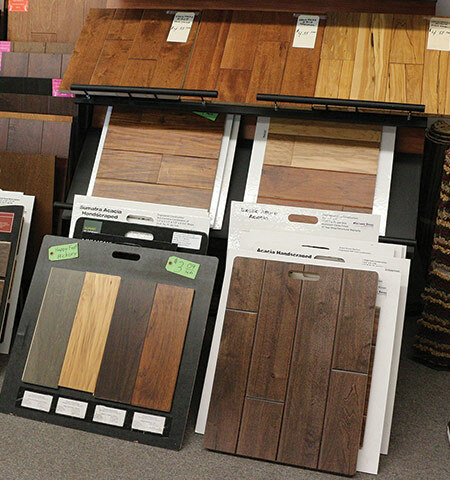 We carry an amazing line of hardwood flooring products from brands like Bruce, Mohawk and Columbia. So, why choose hardwood floors? Hardwood floors are an excellent value. High-quality hardwood flooring adds value to your home, and it’s a flooring option that you can count on to last for years. There is a hardwood floor that is right for you. Our great selection and range of highly discounted prices mean that you will find a look, feel and value that is right for you. 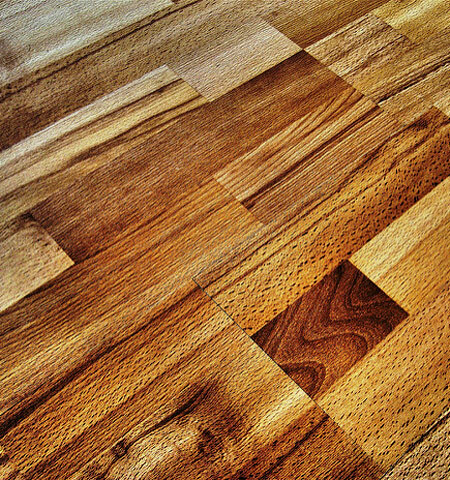 Wood floors can easily be maintained. The beautiful appearance and durability of hardwood floors are easily preserved through simple cleaning and common sense precautions. Choosing the right hardwood flooring option for your home or business can be difficult, but our amazing staff is ready to help guide you through the process of finding the perfect hardwood floor at the perfect price. Traditional hardwood floors are made from solid wood planks with a stained and finished top. Solid hardwood floors are a proven value that provides an ageless look. These free-floating, interlocking planks made of pressed wood byproduct have an artificially printed veneer and an extremely hard and durable finish layer. 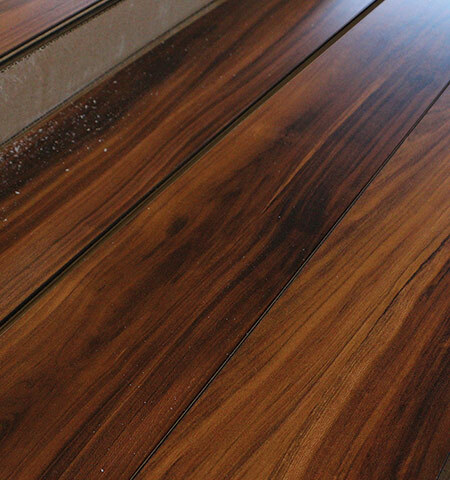 Laminate is the most cost-effective and easiest-to-install type of hardwood flooring. At Discount Dave’s, we carry the very best hardwood flooring options, including popular brands like Bruce, Mohawk, Columbia, Healthier Choice and Lockwood. And, if it turns out we don’t have what you’re looking for in stock, we will order it in for you with the same great discounts you find at all our stores. 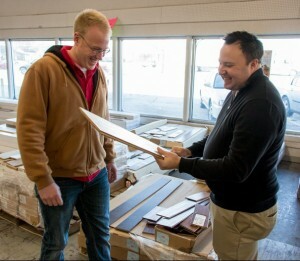 Discount Dave's stores are piled high with deeply discounted carpet & flooring. We always have the best deals in-store and on custom orders! 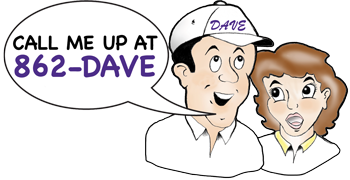 Sign Up for Dave’s Deals! Click below to listen to my latest money saving idea!